Lambda is an new multipurpose Bootstrap Template. It has 60+ amazing HTML pages and 5+ fully working demos; It is perfect for simple and elegant style to showcase your corporate website. 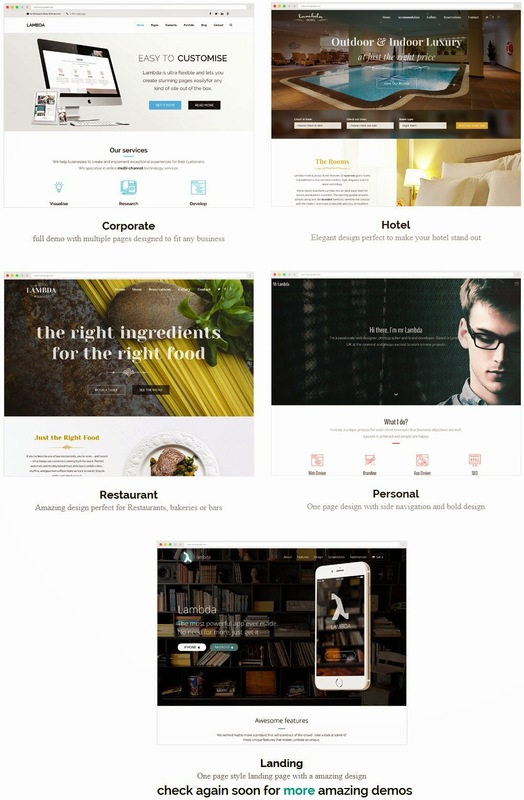 An amazing restaurant demo is perfect for restaurants, bakeries, bars or coffee shops website. One page landing design with awesome parallax backgrounds and cool animations. Super elegant design perfect for a hotel website and Personal website demo is one page style with a side navigation, great typography and super minimal style. 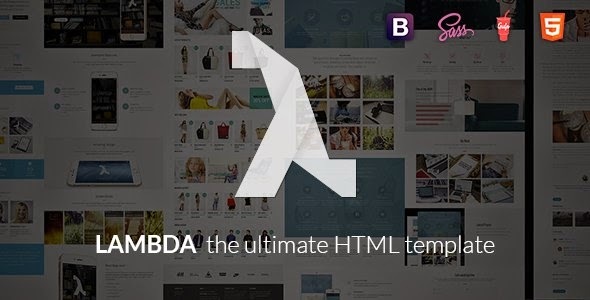 Item Reviewed: Lambda Amazing Multipurpose Bootstrap Template 2015 9 out of 10 based on 10 ratings. 9 user reviews.